COLUMBIA, Mo 5/28/16 (Beat Byte) -- Public safety funding partly drove the recent Columbia Mayoral election, and talk of higher property taxes for more cops continues even after voters defeated the idea in 2014. But Columbia Police Department (CPD) insiders maintain more money won't fix management missteps that have plagued the department for years. SWAT officers shoot a dog during a pot bust gone awry. A police officer slams a suspect into a jail cell wall. Chief Ken Burton brags about "pennies from Heaven," CPD's share of civil forfeiture assets. Two veteran cops -- Zim Schwartze and Chris Kelley -- file suit against the city, alleging workplace malfeasance and broken agreements. A consultant uncovers a "toxic" workplace environment. With each new headline, this publication has received information from City Hall insiders -- in the police department and elsewhere -- about what they say is corroding the department from within: mismanagement. They worry CoMo police officers are getting a bad rap, when management, training, scheduling, and workplace relations should be held to account. It's not individual officers, they insist, or even middle managers like desk sergeants and lieutenants. These folks are trying to do a difficult job with a dwindling resource: experience. Veteran cops, the Heart Beat is told, have left the department in droves, tired of a "hostile management atmosphere that neither respects nor rewards the policing expertise that comes with years if not decades of service," a source explained. Like most of our City Hall sources, these informants identify themselves but do not want their names printed. To a person, they did not support the 2014 property tax increase, believing the money would be misspent. Herein, nine ways insiders say mismanagement hampers the Columbia Police Department (in no particular order, with links to related stories). Quotes are from sources at City Hall and in the department. 1) Too many uniformed officers re-assigned from patrol duties to administrative duties. "They don't schedule the officers we have for patrol and call duty," a source in the police department explained. "Then they say we need more patrol officers." 2) Too many officers with 3-8 years experience leaving CPD. One "veteran" officer of this caliber is worth 2-3 rookies. But "3-8 year officers are much more likely to be leaving for other agencies than before." 3) Declining reputation of CPD nationally has made it hard to recruit. "Very few prior service officers are applying at Columbia. Recruitment is at an all-time low, which human resource numbers should show." 4) Distrust of command staff. "Command staff's ability to motivate employees and manage the work load is not evident nor generally trusted. Staff roles, direction and policy are in such constant change, most front line functions are stagnant, or don't know what to do." 5) Multiple bad hires. "With less recruitment, less qualified officers are hired with more of them not working out, and being let go in their first year. Retention of good officers is much harder." With the cost of training, equipping, and recruiting, this revolving door human resources problem is "extremely costly to the city." 6) Failure of Chief Burton to implement "geographic policing". He's been touting geopolicing since he came on board about 7 years ago, "but it's never panned out," a source explained. Geographic policing "aims to streamline coverage and add accountability within the police department," the Trib reported in 2009. "When you have a more logical assignment and a controlled response to calls, you can more efficiently use your resources," Burton said at the time. 7) Low morale. A consultant hired by the city called CPD's admin atmosphere "toxic". In a debate with Mayor McDavid, former City Councilman Larry Schuster called it "bullying". Insiders agree. 8) Cuts to crime prevention programs. Neighborhood Watch, Crime Free Housing, the Neighborhood Response Team: all have successful track records, but all have languished under the Matthes/Burton administration. 9) Poor relationship between management and police officers, including union representatives. "There is something wrong when City and departmental managers need to meet with officers to convince them of the positive side of getting more officers. Those sales meetings have not generally produced backing." 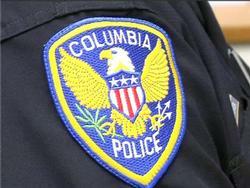 You are here: Home City Hall Columbia Police NINE WAYS INSIDERS SAY: Mismanagement hampers the Columbia Police Dept.